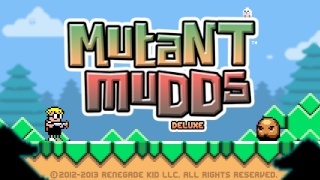 The Mutant Mudds Developer Talks Wii U And 3DS! Hello Mr. Watsham thanks for joining us today to answer some of our questions! [JW]: Thank you for having me! On a sales standpoint how did Mutant Mudds Deluxe sell on the Wii U eshop? [JW]: It sold OK on Wii U. The fact that it was a port, and therefore took less time and cost to develop than the original game on 3DS, made it profitable. 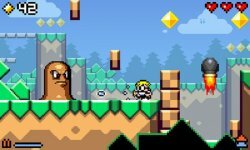 Were your 3DS eshop sales of Mutant Mudds noticeably different from the Wii U numbers? [JW]: Yes, Mutant Mudds sold many more copies on the 3DS. Has the recent 3DS DLC for Mutant Mudds improved the sales for the game on the platform? [JW]: We saw a nice spike in sales with the recent free update that added the 20 ghost levels to Mutant Mudds on the 3DS. What do you think of Nintendo's policies regarding indie developers? [JW]: I think they are fine and on par with the other console manufacturers. Are you satisfied with Nintendo's eshops? [JW]: Yes, I really enjoy working with the eShop team on our games and I like the eShops both personally and professionally. 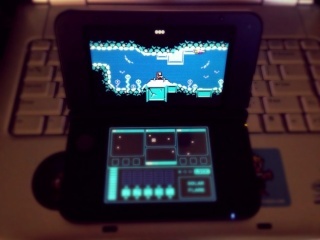 Can you tell us a little more about your current Wii U and 3DS projects that you're working on? [JW]: Xeodrifter will be our next release, along with the remaining episodes of Moon Chronicles. After than we'll be releasing Treasurenauts. We are hoping all of these games will be released before the end of 2014. Which major game developer do you feel has had the most influence on the way you design your games? In the future if you had a AAA budget to spend on developing a single title what kind of game would you like to develop? Do you have any advice that you'd like to share with aspiring game developers out there? [JW]: The best thing to do is get your hands dirty; very dirty. Just get in there and make something happen. Chances are, your first game will not be as great as you might like it to be, but that is OK. If you treat your first game like it is your last and only game, you'll probably never finish it. That's all for today! Thanks for taking time out of your busy schedule to answer our questions! [JW]: Thank you very much. It was a pleasure chatting with you. 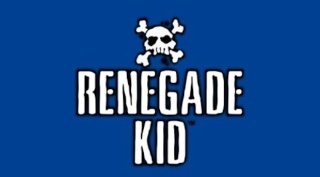 Hopefully we'll have the pleasure of interviewing you again sometime in the future! What did you think of our interview? Did you learn anything new? Be sure to let us know in our comments below! Dev Interview: A Talk With Claire Fontenot About Road Redemption! I'm looking forward to Treasurenauts! The interviews are my favorite WiiWareWave features. Thanks for the comments! Hopefully activity will pick back up soon. I feel the same way lol. Xiao Pai wrote: Nice interview lol.